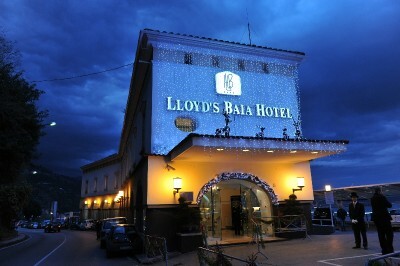 The conference will take place at the Lloyds Baia Hotel, Via Enrico de Marinis, 2, 84019 Vietri Sul Mare, Province of Salerno, Italy. Salerno is a city and comune in Campania (south-western Italy) and is the capital of the province of the same name. It is located on the Gulf of Salerno on the Tyrrhenian Sea and is the main town close to the Costiera Amalfitana (the "Amalfi Coast" on the Tyrrhenian, which includes the famous towns of Amalfi, Positano, and others) and is mostly known for its Schola Medica Salernitana (the first University of Medicine in the world). Today Salerno is an important cultural centre in Campania and Italy and has had a long and eventful history. The city has a rich and varied culture, and it is divided into three distinct regions: the medieval sector with a modern state-of-the arts area, the planned 19th century district and the more densely-populated post-war area, with its several apartment blocks. Salerno is located at the geographical center of a triangle nicknamed Tourist Triangle of the 3 P (namely a triangle with the corners in Pompei, Paestum and Positano). This peculiarity gives Salerno special tourist characteristics that are increased by the many local points of tourist interest like the Lungomare Trieste (Trieste Seafront Promenade), the Castello di Arechi (Arechis' Castle), the Duomo (cathedral) and the Museo Didattico della Scuola Medica Salernitana (Educational Museum of the Salernitan Medical School).